In commercial real estate brokerage, things change week to week and month to month. There is a lot of knowledge to be gained by sharing information across the brokerage team about market trends and current business levels. The best way to do that is by holding ‘on track’ team meetings weekly where ideas and issues are shared. When you think about it, all members of the brokerage team will have had plenty of exposure to clients and prospects over any given week. Inspections would have been held, and enquiries would have been taken. There will be leads and opportunities to work on in the weekly review of the team and the business. Before I go too much further here, it is worth raising the point or the question about just when a team meeting should be held. Most brokerages make the fundamental mistake of holding those meetings at the beginning of a working week and at the beginning of the day. What a waste of critical time! The most productive time for a real estate team is at the beginning of the day; that is the time that all operatives should be on the telephone making cold calls or out in the market meeting new people (not sitting in some meeting). What are the Time Rules? Our property business and industry is not particularly based on difficult stuff or ‘rocket science’ but certain points of focus like ‘personal productivity’ should not be forgotten. When a person is fresh, that is the time for them to get the big issues under control; that will include prospecting and client contact (not team meetings). Don’t forget this important rule or make common priority mistakes in your real estate business. Move your team meetings to the other end of the day when productivity doesn’t matter so much. Marketing Dollars – The greater the advertising spend on good quality listings, the better the levels of inbound enquiry. Always strive to convert vendor paid marketing funds on all your exclusive listings. Enquiry Rates – What are people looking for when they inquire about a property? Presentations made – In any given week, most agents and brokers will have made a few listing presentations. Some listings will have been won and others will have been lost. It is a good idea to share those stories and updates. Marketing results – Assess your marketing activities on particular listings so you can understand or at least discuss what is happening in the local property market. At certain times of the year, enquiry levels will change so look for those shifts in the market between and across sales, leasing, and property management. Inspection outcomes – People will share information with you in an inspection. They will tell you what they think about a property, the local area, and other listings that they have seen. That information is valuable; share it. Competitor reviews – Talk about what is happening with other agents and brokers locally. Are things changing? Will those things have an impact on you? Other local listings – Some listings are worth watching for a number of reasons, not the least of which will be time on the market. 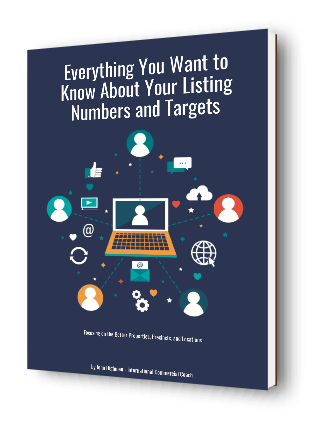 When you assess other listings you can see what they are doing with their marketing, and assess strengths and weaknesses. You can learn a lot from other listings. 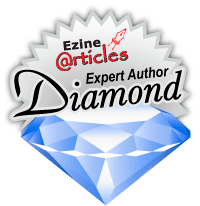 Client coverage and updates – Remember your VIP clients. Talk about them often and what you can do to service them more successfully. Database changes – The growth of an agent’s database is foundational to brokerage success. If an agent has a poor quality database, then you have got to ask the question of if they should be in the team. Online marketing – Most real estate enquiries today come from online promotional efforts. When a person calls the office, ask them how they found you. There will be some valuable insight to glean from that question. You will soon know what online portals and social media channels are better than others. Refreshing of listings – Don’t let a listing stay on the market for too long without updating and refreshing the listing. Every few weeks update the listing with different copy, better photos, and special headlines. Deal updates – Always track your current deals. Follow them through to finality. Ask for testimonials and referrals. A successful property transaction taken to finality will help you to that. Cross-selling services (Sales, Leasing, and PM) – Don’t forget to link your clients and prospects to other people and services in your team. There is plenty of crossover business to be had when you look at sales, leasing, and property management. You can now see why ‘On track’ team meetings are so important to any commercial real estate brokerage business.